The number of smartphones in existence now exceeds that of the entire population of Earth. This massive, unprecedented growth in the use of mobile phones continues unabated, meaning that the need for infra­struc­ture such as masts, antennas and satellites increases. One area that is currently experiencing particularly large growth is Latin America, where indus­tri­ali­sation is moving fast and demand for mobile commu­nica­tions is rising, leading to increased use of stainless steel, particularly banding. Latin America has embraced and quickly adapted to the mobile market, turning away from standard telephone line commu­nica­tion in favour of mobile technology. With a mobile penetrate average of around 115% at the end of 2013, Latin America is well in front of the worldwide 96% figure. Further signs of the speed with which the region has adapted to mobile technology is evidenced by the fact that, since the very first 3G provider was established in Chile in 2010, a further 76 have been established across 37 countries. 4G is also well established, with 18 countries supporting 28 networks and another 42 already planned for the near future. Stainless steel banding, strong, secure and resistant to corrosion, is widely used across the mobile phone industry. Mobile phone towers make particular use of stainless steel banding, using it to hold control and cable splice boxes, amplifiers and antennas tightly in place and ensure the continued optimum functioning of the system. As well as this application, stainless steel banding is also used to secure bridge cabling, telephone pole, underground lines and essential signage. BS Stainless supply stainless steel strip and banding with both a standard edge and a safe edge. The safe edge option will reduce the risk of injury and also potentially prevent damage by a sharp burr cutting into cables. BS Stainless are specialist suppliers of a comprehensive range of stainless steel banding and all of the necessary hardware required for its professional use. 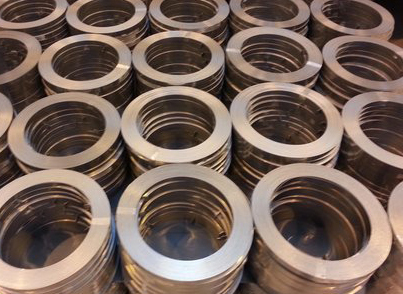 From standard grades, sizes and finishes to completely bespoke requirements, we offer a complete solution for all of your stainless steel banding needs. For more information or to discuss bespoke orders, please contact our team on +44 (0) 1772 337555 or email info@bsstainless.co.uk. BS Stainless - your partner for stainless steel.